Discover the taste of healthy, locally raised grass-fed and pastured meats from our independent family farmers. Every month, we will prepare a carefully curated box of about 10 lbs. 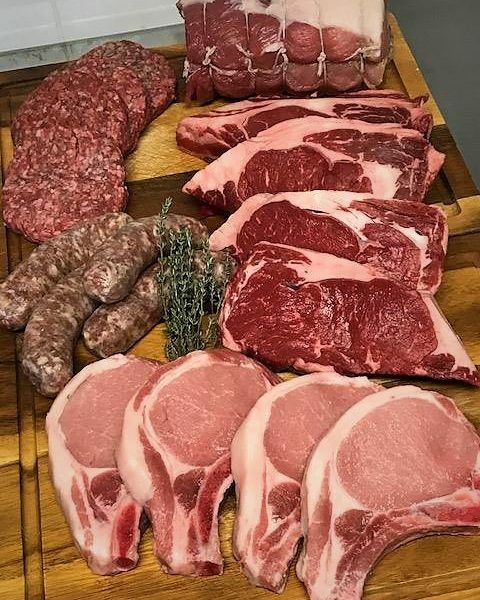 of our grass-fed beef and heritage pork, including a selection of our Premium Steaks. Antibiotic and hormone free, of course. 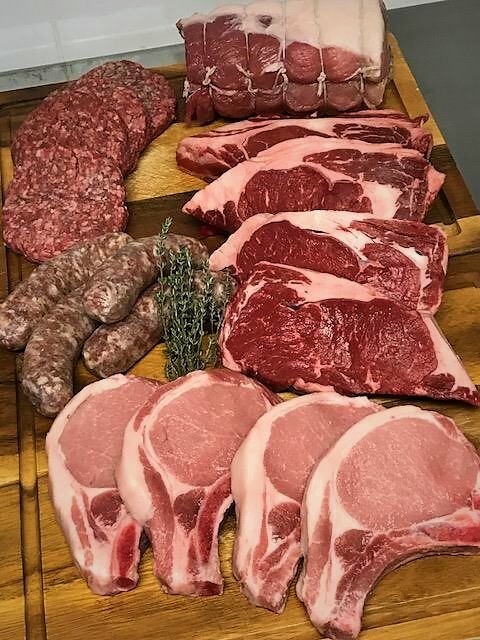 Each Premium Family Share includes premium steaks and chops, ground beef or burger patties, beef or pork roasts, and the house-made Sausage of the Month. Recommended for families of 3-4.